Home Journal of Ayurveda Medical Sciences, Vol 2, Issue 2, Apr-Jun, 2017 Foliar Macro-micro-morphology of Capparis zeylanica L.
Sundaramoorthy, Gopi, Andalil, Narayana, and Parameswaran: Foliar Macro-micro-morphology of Capparis zeylanica L.
[1-4] Department of Pharmacognosy, Assistant Director (Siddha) and In Charge, Siddha Central Research Institute, (Central Council for Research in Siddha, Ministry of AYUSH, Govt. of India), Arumbakkam, Chennai, India 600106. Assistant Director (Siddha) and In Charge, Siddha Central Research Institute, (Central Council for Research in Siddha, Ministry of AYUSH, Govt. of India), Arumbakkam, Chennai, India 600106. Capparis zeylanica L. (Ātoṇṭai) commonly referred as the Rasayana drug in traditional system of medicine is also used ethnomedicinally as a therapeutic agent. for variety of diseases throughout India. The present study was taken up to evaluate the macro-microscopic characterization for the authentication of leaves of Capparis zeylanica. 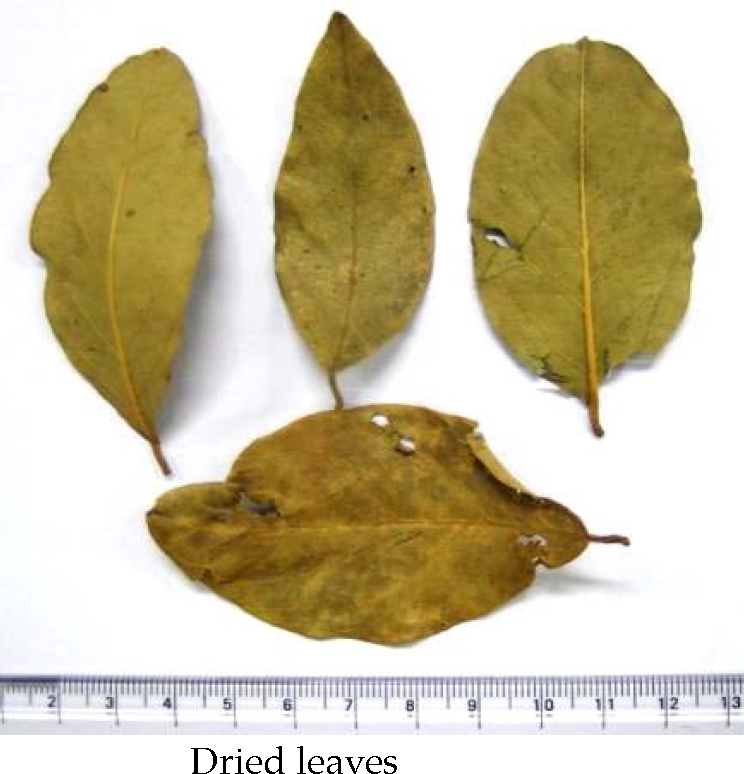 Dried leaves were collected from Mettur, Tamil Nadu. The macroscopic and microscopic details including powder were studied following the standard pharmacopoeial procedures. Macroscopically leaves are pubescent with petiole containing small stipular spines. Microscopically, transverse section of the petiole consists of parenchyma, ceratenchyma and vascular bundles; midrib comprises of parenchyma, collenchyma and vascular bundles and lamina contains epidermis, differentiated mesophyll cells and embedded vascular bundles. Quantitative Microscopy was carried out and the epidermal number, stomatal number, stomatal index, vein islet number, vein islet ratio, palisade ratio were recorded. Powder microscopy of leaves showed the presence of wavy epidermal cells, stellate trichomes, parenchyma, groups of thick walled fibres, tracheids, spiral vessels and numerous stone cells. The study provides concise information on the pharmacognosy of Capparis zeylanica L.
Herbal medicine has become a vital part of standard healthcare owing to its time tested traditional usage and ongoing scientific research and many of the medicinal plants are believed to enhance the natural resistance of the body to infections. Capparis zeylanica L. (family: Capparidaceae) commonly known as Indian caper, is a climbing shrub found throughout India and has been used as a ‘Rasayana/ Kayakalpam’ drug in the traditional medicine like Siddha and Ayurvedha, which is particularly recommended for the treating immune disorders. This plant is distributed throughout the major parts of India, Bangladesh and some parts of Pakistan. C. zeylanica known as Ātoṇṭai in Tamil is a branched thorny, sub-scandent climbing shrub attaining a height of 2-3 m in height with elliptic or broadly lanceolate leaves with base rounded, apex mucronate, flower profuse, pinkish white, later turning pink, berries globular or ellipsoid, 3-4 cm in diameter, and seeds globose, embedded in white pulp. The whole plant of Ātoṇṭai is anodyne, sedative, stomachic, anti-hydrotic, colic, cholagogue and used against swelling, pleurisy, cholera, hemiplegia, neuralgia and rheumatism. The roots and leaves are used in indegenious system of medicine. In Unani medicine, the decoction of the root bark is prescribed as deobstruent to liver and spleen and as an anthelmintic and anti-inflammatory agent. In Siddha it is used for the cure of tonsillitis. Leaves are 2.5 to 7.5 by 1.8 to 5 cm, elliptic, oblong, obtuse, acute/retuse, apex mucronate, base, truncate, pubescent; petiole 6 mm to 1 cm long, densely pubescent, stipular spines small, hooked, in pair, recurved (Fig. 1). TS of petiole is oval is outline with a prominent notch on the upper surface; there is a single layered thick walled epidermis with coating of cuticle; cortex is made up of wavy walled parenchymatous cells without intercellular space; prominent region of ceratenchyma is seen surrounding the central vascular bundle; phloem shows a few isolated or groups of stone cells; the vascular bundle occupies the major area of the section with prominent xylem tissue formed by normal elements interrupted by 2 to 3 seriate xylem rays running to the central pith like region filled with ceratenchyma (Fig. 2.1 to 2.4). TS shows a prominent midrib with almost flat surface with undulations on upper side and a broad elevation on the lower side; there is a single layered epidermis with thick cuticle on the outer walls; beneath the upper epidermis there is a patch 4 to 5 layers of parenchyma; beneath the lower epidermis there is 5 to 6 layers of collenchyma followed by 5 to 6 layers of parenchymatous ground tissue which often shows a few narrow lumened stone cells; the cordate vascular region is protected by pericycle which is fully formed continuous patch of thick walled fibres, few outer ones being stone cells; at the centre there are 10 to 12 vascular bundles formed by phloem at the lower side and xylem tissues towards the upper side, few 2 to 3 seriate ray strands separates the vascular bundles from each other (Fig. 2.5, 2.7 & 2.8). TS through lamina shows dorsiventral structure with protection of single layered upper and lower epidermii; underneath upper epidermis which is devoid of stomata there is a single layer of palisade followed by about 10 layers of loosely arranged spongy parenchyma cells together forming mesophyll tissue; few vascular bundles are embedded in the mesophyll tissue which are composed of normal elements of phloem and xylem (Fig. 2.6). Quantitative microscopic features of the leaf has been recorded for authentication of the drug from allied species or othr adulterants and substitutes (Table 1 and Fig.3). Powder microscopy shows the presence of wavy epidermal cells, stellate trichomes, parenchyma, groups of thick walled fibres, tracheids, spiral vessels and numerous stone cells (Fig. 4); greenish yellow in colour, odour and taste nil. This study has illustrated the macroscopy and microscopy details of Capparis zeylanica L. leaf with pictorial information for identification of the drug using unaided eye and/or a microscope. The authors extend their heartfelt thanks to Director General, CCRS, Chennai for the support and Dr. M Padma Sorna Subramanian, Research Officer, Siddha Medicinal Plants Garden, Mettur for proving the samples. Mrs. S Brindha is working as Laboratory Technician in the Department of Pharmacognosy at Siddha Central Research Institute, Chennai, India. She has completed B.Pharm. from Dr MGR Medical University in 2010. Macroscopy, microscopic preparations, quantitative microscopy was performed by SB. Dr. KG Divya is working as Research Assistant - Botany in the Department of Pharmacognosy at Siddha Central Research Institute, Chennai, India. She has completed M.Sc. in Botany from Calicut University in 2009 and PhD in Botany from MG University, Kottayam in 2017. Her field of expertise includes Taxonomy, Pharmacognosy, Palynology and Anatomy. She has published 2 research papers in national and international peer reviewed journals. Microscopic examination, powder microscopy and writing of the paper were undertaken by KGD. Mrs. A Remya is working as Laboratory Assistant in the Department of Pharmacognosy at Siddha Central Research Institute, Chennai, India. She has completed M.Sc. in Botany from Calicut University in 2012. Examination of sections and powder under microscope, photomicrography and preparation of plates was undertaken by AR. Dr. KN Sunil Kumar is working as Research Officer and Head of Department of Pharmacognosy in Siddha Central Research Institute, Chennai, India. He has completed in M.Sc. Ayu. Medicinal Plants -Pharmacognosy specialization from Gujarat Ayurveda University in 2006 and PhD in Medicinal Plants/Pharmacognosy from University of Madras in 2014. His field of expertise includes Taxonomy, Pharmacognosy, Phytochemistry, Standardization, Quality control, Pharmacology and In vitro assays. He has published 97 research papers in national and international peer reviewed journals in addition to 55 monographs in Quality standards of Indian Medicinal Plants. Design of the experiment, guidance and supervision until finalization of the content of the paper is the contribution of KNSK. Dr. P Sathiya Rajeswaran, M.D. Siddha, is working as Assistant Director Siddha and In Charge of Siddha Central Research Institute, Chennai, India. Guidance in Siddha aspects of the plant studied, overall supervision of the experiment and guidance in writing the paper was contribution of PSR. 2017 Journal of Ayurveda Medical Sciences. This is an open access article distributed under the terms of the Creative Commons Attribution 4.0 International license.